▷ Route 66 Chicago 9000 update. Speedcam for your maps. Download update. Free custom download. 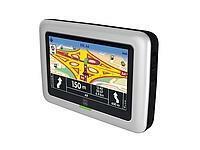 In order to update your GPS device: Route 66 Chicago 9000 with the latest update, follow next instructions. First of all, be sure you got the update file for your Route 66 Chicago 9000 device, downloaded from SpeedcamUpdates.com. Connect your Route 66 Chicago 9000 device using an USB cable to your PC. When Microsoft Active Sync starts up, select "Guest". Once your mobile device is available thru your file explorer, browse to the folder named POIs , maybe even POIs /Europe, depending on the area. Delete all files contained there, and copy all the files extracted before. Unplug USB connection from your Route 66 Chicago 9000 device. Reboot your Route 66 Chicago 9000 device. Once restarted go to Custom POIs . Enable POI Alert on all categories. Confirm everything pressing OK button.